eCoins are electronic tokens that carry a specific monetary value. They are defined, unique and serialized bit-objects, used as a carrier of value. Within our fairCASH system, they have the quality to replace the material base of physical coins and bills. Secrets like our eCoins are value data objects being cryptographic artifacts or credentials: Information with a specific meaning, like symmetrical keys or in our case monetary value. After their creation, they can only exist in a specially protected encasement called nano-safe. Ownership of such secrets does not include the right to touch or to copy. Users are able to proof their ownership by transferring these secrets through the nano-safe infrastructure by teleportation (ownership transfer). It is the nature of an application to define the type of the secrets. We differentiate between persistent and transient types, both to be continuously protected by a nano-safe. Persistent secrets are the easier ones because they reside their whole life at the same place. Examples are cryptographic keys in [U]SIM cards for a Smartphone or credit cards. For the fairCASH system, we need the transient type because our eCoins are transferable from one eWallet to another. This movement process needs one nano-safe on the starting position and a second one at the end. A special Virtual Private Network (VPN) or Virtual Private Channel (VPC) connects both Peer-to-Peer (P2P) so we get a connection without a chance for the secrets to escape. This type of transfer is copy-less. 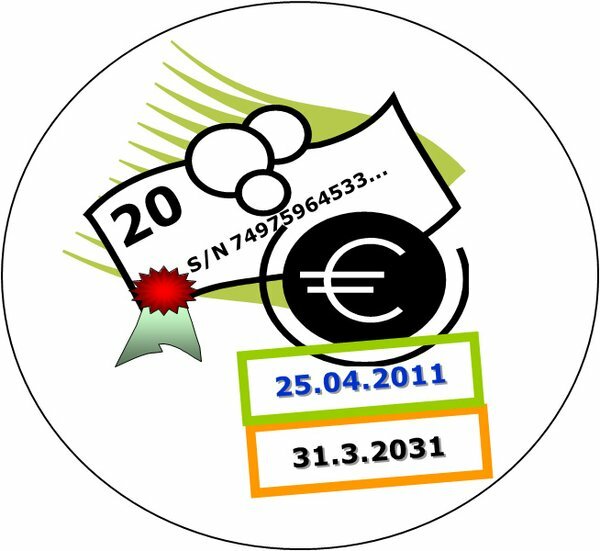 eCoins are also called electronic-value-tokens (eTokens) or Singletons due to their technical nature of being short certificates: Digitally signed bit-string-objects. They contain inter alia information as their denomination value, serial number, issuer-id, end-of-transferability-date and the end-of-effect-date. The denomination-value follows the Physical Cash system, as the user is already familiar with this arrangement. To prevent anyone from creating fake-eCoins, the eMint digitally signed every eCoin, so that the expenses to forge them equals the cost of breaking that signature. Thus, the eCoin is only valid if it has a corresponding digital public-key signature from the issuing eMint. If the receiving eWallet cannot verify the eCoins sent by his partnering eWallet, they are rejected and deleted; our transfer protocol fCCP fail-stops.